Late August Sociological Research Online published my historical analysis of the reviews of the book Experience with Abortion: A case study of North-East Scotland edited by Aberdeen-based academic Gordon Horobin. Experience with Abortion, published in 1973 by Cambridge University Press, was the first study of abortion of its kind to be published in the UK since the introduction of the 1967 Abortion Act. 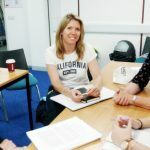 The book’s contributors had been involved in a multi-disciplinary longitudinal study of women’s experience of abortion in Aberdeen in the period 1963-1969. The paper is content analysis of the book reviews which I found in the late 1980s when I helped clear out Gordon Horobin’s former office in the Department of Sociology (University of Aberdeen). Amongst the papers to be thrown out were photocopies and cuttings of reviews of Horobin’s book of the first social medicine study on abortion published since the introduction of the 1967 Abortion Act. I saved the paperwork from recycling. Since then I have searched electronically for further reviews at the time and this resulted in the recently published article. 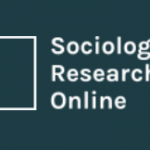 The paper in Sociological Research Online sets the scene at the time of publication in the early 1970s, and includes abortion as a societal issue, the 1967 Abortion Act and the role of the MRC Medical Sociology Unit in Aberdeen. The reviews were analysed using content analysis. Considering the controversy of abortion at the time, it is interesting that the book reviews were overwhelmingly positive towards both Experience with Abortion and the need for high quality social science research in this field. Several reviews highlighted the importance of having someone like Sir Dugald Baird in Aberdeen and of the Aberdeen-based Medical Research Council’s (MRC) Medical Sociology Unit. Other reviews highlighted Aberdeen’s reputation as a city with a fairly liberal policy towards abortion before the Abortion. One of the chapters in Experience with Abortion reported that between 1938–1947, some 233 women in North-East Scotland had their pregnancies terminated in Aberdeen, less than 25 per year! Dugald Baird started offering abortions on the NHS in the 1950s. He would offer to terminate the unwanted pregnancies of women with too many children and offer subsequent sterilisation. Today nearly 40 years later, abortion has largely disappeared from the social policy agenda in the UK, although not in many other countries. Horobin, G. (ed.) (1973) Experience with Abortion; A case study of North-East Scotland, Cambridge: Cambridge University Press.